Tutorial 113 demonstrates how data stored in an Microsoft Excel spreadsheet may be used in a TradeStation EasyLanguage program applied to a chart. In tutorial 112, I demonstrated passing data from TradeStation to Excel. In tutorial 113 the data is flowing in the opposite direction. The tutorial also demonstrates the use of the Drawing, ChartingHost and Timer objects as well as the use of methods. The program is available for download for a small fee or for FREE to Gold Pass members. Tutorial 113 applied to a 15 second bar GBPUSD chart. Tutorial 113 plots 2 moving averages. The lengths of the moving averages are determined by values stored in a spreadsheet in specific cells (G1 and H1). When the value in Excel cell G1 is changed, the program starts plotting an updated value for the moving average. Tutorial 113 also creates text objects that display the current values of the parameters on the top right of the chart. These values are updated when the value in G1 is changed on on each new recalculation of the program. These text objects are re-positioned if the size of the chart window is changed. An additional text object is added to the chart on the current bar whenever the value of G1 is changed. This object remains with the bar where it is originally positioned. Tutorial 113 applied to a 15 second bar GBPUSD chart. Notice the red line. The length was set to 100, then changed to 50, and then back to 100. Notice how the line diverges from the yellow line and then returns to it. 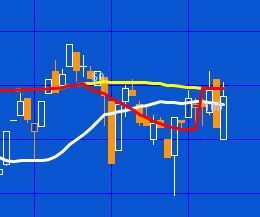 The chart also has a Mov Avg 1 line indicator applied to it (the yellow line). Although I do not use it in the demonstration video, the objects and their associated events can be created using the toolbox. The resulting code can be copied from Designer Generated Code, into the TradeStation Development Environment. Version: 9.5 (Update 15). I had major problems with update 14 running under Windows 10 (totally unrelated to this tutorial), with TradeStation continually crashing whenever I tried to open a workspace or to create a chart. 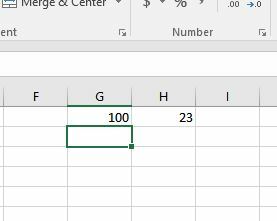 Tutorial 113 has a single input that tells the program where the Excel spreadsheet is located. Make sure you have an Excel file in this location. Tutorial 113 is available for IMMEDIATE download for $19.95 by clicking the ‘add to cart’ button. After download the programs can be opened, you will be able to see the program code and modify it if you wish. The download ELD includes _Tutorial 113 an EasyLanguage indicator. Note: The program name begin with an underscore, so it will be towards the start of the list if you sort alphabetically. Tutorial 113 was developed for TradeStation 9.5 update 15 and will not work with MultiCharts. If you notice any errors or have comments or questions about the tutorial, please email me.